Dishwasher Temperature Labels. Thermal Disinfection for HACCP Compliance. Three temperature points. 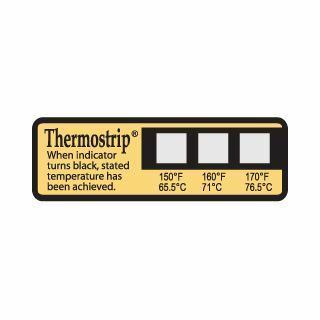 Thermostrip® DL is a self-adhering and waterproof color-changing label that measures the surface temperature of dishware in dish washing machines. *Please note that Range A labels must be shipped Overnight.